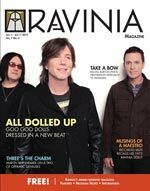 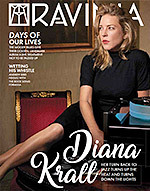 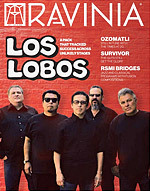 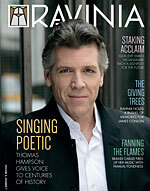 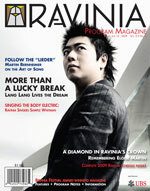 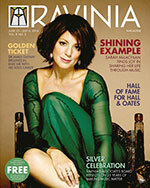 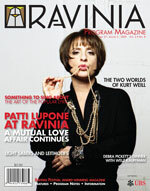 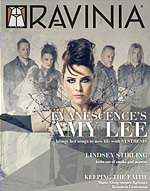 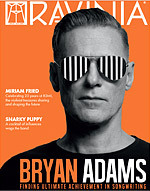 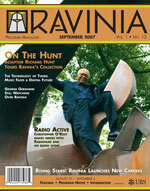 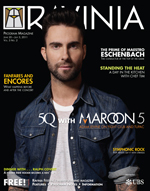 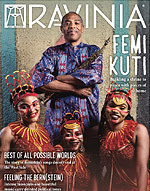 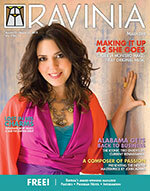 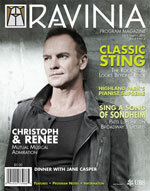 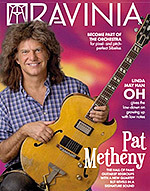 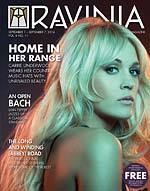 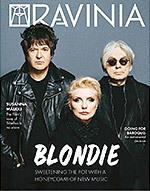 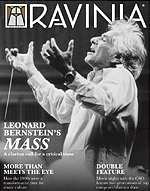 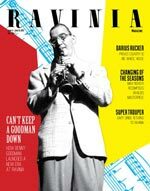 Ravinia Magazine is an award-winning full-color, glossy publication that provides insightful articles by major journalists in addition to full information on Ravinia artists and performances. 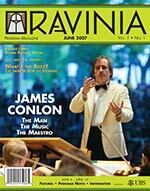 It is available free of charge to all audience members at all Ravinia performances. 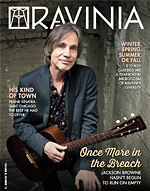 If you are interested in placing advertising in the Ravinia Magazine or the Ravinia Family Fun Guide, please contact Gail McGrath at Performance Media by calling 847-770-4621 or by e-mail at gmcgrath@performancemedia.us. 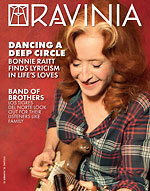 Featuring: Dolly Parton, Don Henley, Danielle de Niese, Matthew Polenzani. 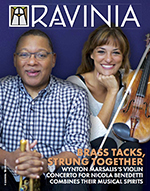 Featuring: James Levine, Buddy Guy, Wynton Marsalis & Nicola Benedetti. 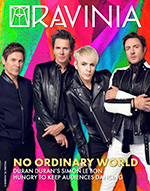 Featuring: Duran Duran, Guster, Chris Cornell, Jerry Garcia & The Grateful Dead. 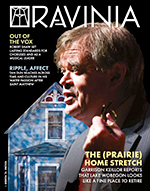 Featuring: Garrison Keillor, Chris Thile, Robert Shaw, Tan Dun. 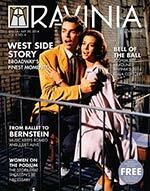 Featuring: Jackson Browne, Frank Sinatra, Frederica von Stade. 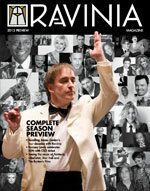 Featuring: James Conlon, Seth MacFarlane, Ramsey Lewis, and Mark McGrath. 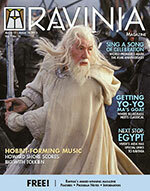 Featuring: Lord of the Rings, Lang Lang, Aida, Josh Groban, Yo-Yo Ma. 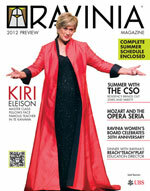 Featuring: Benjamin Britten, Special Projects and 5 Questions with Melissa Etheridge. 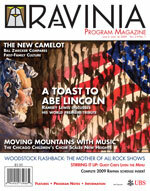 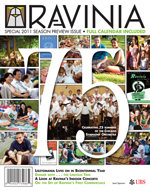 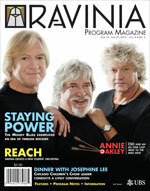 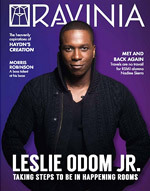 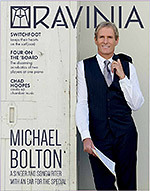 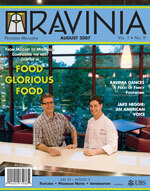 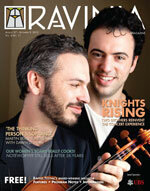 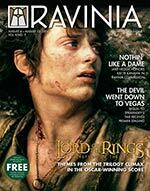 Featuring: The Knights, Dawn Upshaw, Ravinia's Women's Board Cookbook and more! 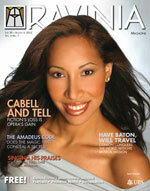 Featuring: Nicole Cabell, Magic Flute, James Conlon, Kevin Murphy and more! 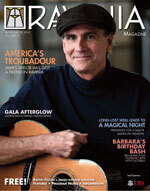 Featuring: James Taylor, Ravinia's Women's Board Gala, Barbara Cook and more! 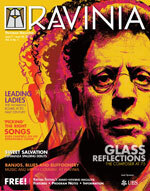 Featuring: Philip Glass, Glen Campbell, Esperanza Spalding, and more! 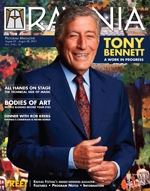 Featuring: Tony Bennett, All hands on Stage, Momix - Botanica, Dinner with Rob Krebs, and more! 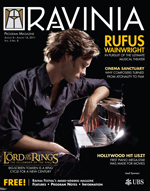 Featuring: Rufus Wainwright, Cinema Sanctuary, Lord of the Rings, The Hollywood Hit Liszt, My Kinda of band - Chicago, and more! 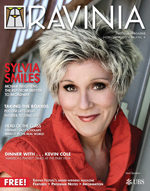 Featuring: Sylvia McNair, The Play's the Thing, Dinner with Kevin Cole, Cooking with the Stars, and more! 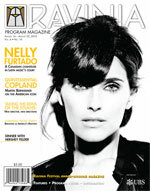 Featuring: Nelly Furtado, Quintessential Copland, Learning From Lenny, Dinner with Hershey Felder and more! 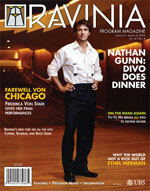 Featuring: Farewell Von Chicago, On the Road Again, Ravinia's New Chef on All the Hits, Dinner with Nathan Gunn and more! 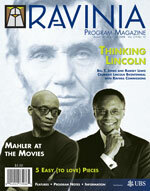 Featuring:Thinking Lincoln, Mahler at the Movies, 5 Easy (To Love) Pieces and more! 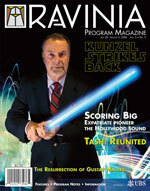 Featuring: Kunzel Strikes Back, Expatriate Pioneer the Hollywood Sound, Tashi Reunited, The Resurrection of Gustav Mahler and more! 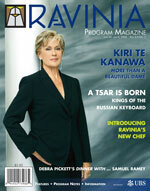 Featuring: Kiri Te Kanawa, Kings of the Russian Keyboard, Dinner with Sam Ramey and more! 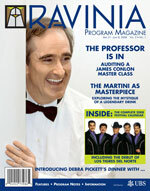 Featuring: A Master with Class - James Conlon, Dinner with Pamela Strobel, The Mystique of the Martini and more! 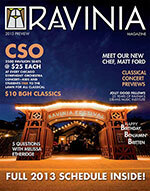 Featuring: Food Glorious Food, Ravinia Dances, Jake Heggie: An American Voice and more! 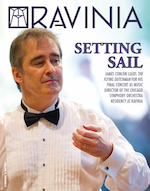 Featuring: Conlon in Conversation, Patricia Racette, Zemlinsky's Music Lives Again and more! 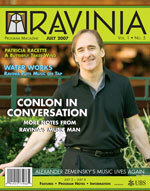 Featuring: James Conlon (The Man, The Music, The Maestro), Jazz with The Joffrey and more!